I've been meaning to make a cufflink back for ages now, so thought I'd return to my wax carving experiments. I had rather forgotten how messy wax carving is! 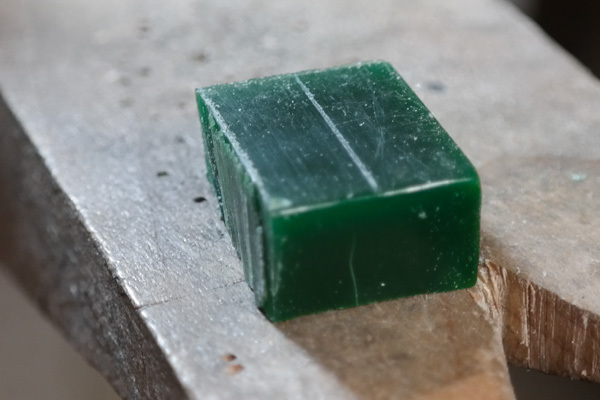 I started with a little block of green wax, marked out a rough outline of the cufflink fitting, then carved and filed around the outline, thus covering my entire bench, floor (and occasionally cat!) in green dust. 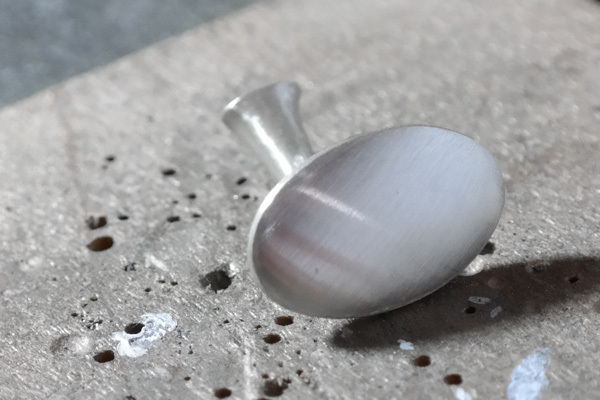 The wax is then cast into silver for further refining of the shape and sanding. All that's left to do now is to sprue it and make a mould.